Arsene Wenger pictured during tonight's match. Henrikh Mkhitaryan drove Arsenal into a 15th-minute lead with his first goal for the club, and a shellshocked Milan fell further behind before half-time as Aaron Ramsey waltzed through to score. 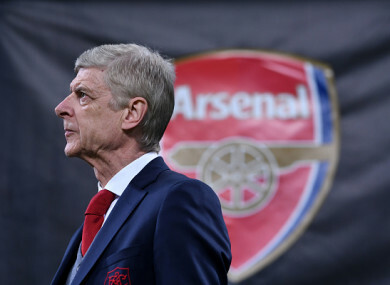 Email “Wenger hails Arsenal win after 'nightmare' week”. Feedback on “Wenger hails Arsenal win after 'nightmare' week”.